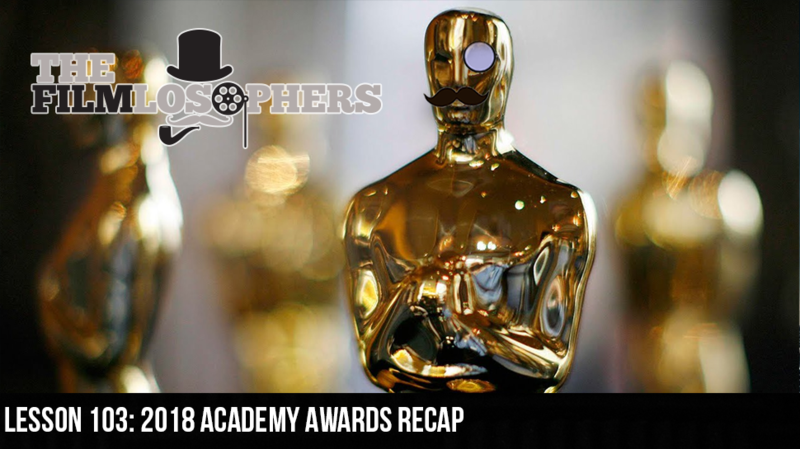 The Filmlosophers, Eddie Villanueva, Chad Riley and Spencer Williams, host their annual Oscars after party with a recap of this year’s major wins, upsets, inspiring moments and awkward wardrobe selections. Recap the 90th annual Academy Awards and relive the triumph of winners such as Guillermo del Toro, Frances McDormand, Gary Oldman, Jordan Peele and others representing some of the previous year’s most critically acclaimed movies. From The Shape of Water (2017) to Coco (2017), and everything in between, the night was full of ups and downs…and no mislabeled envelopes. A number of prominent social themes and political references were prominent during the 2018 ceremony as well, with both presenters and winners speaking openly about current events and utilizing their platform to promote their stance on various causes.